Take a look at the pictures below to see BitZipper in action. The user interface of BitZipper has a great look with beautiful icons. Everywhere in the interface we have focused on usability. You will quickly notice the small details that make your daily work easier, such as lists of most recently used folders and files, resizable windows etc. 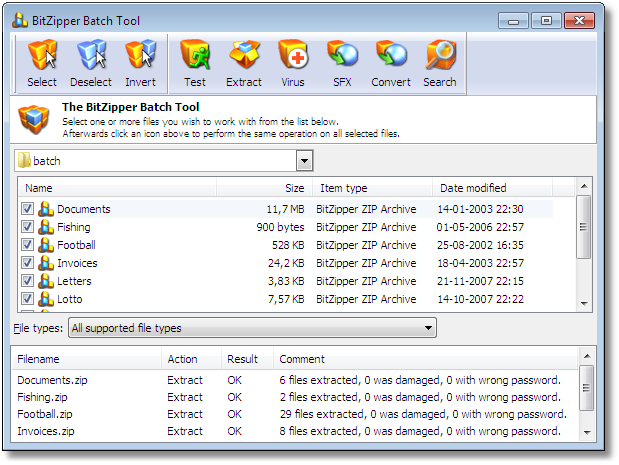 With the Batch Tool you can perform the same operation on many archives at once, e.g. test for errors, extract or virus scan. Simply check the archives to work with and click a button on the toolbar. Use the Backup Sets to create an archive with all your important files. You can add the current date to the name of the archive which is very useful if you create a backup every day. 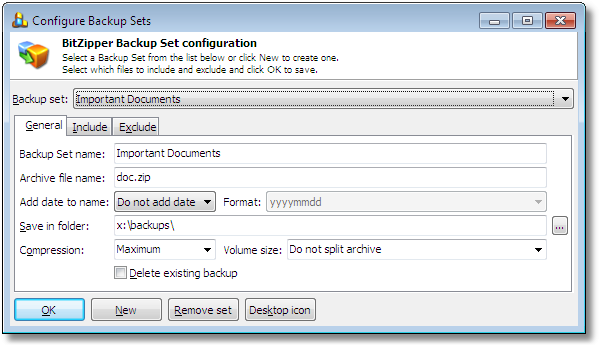 Once the Backup Set is created, you can activate the backup with a single click! 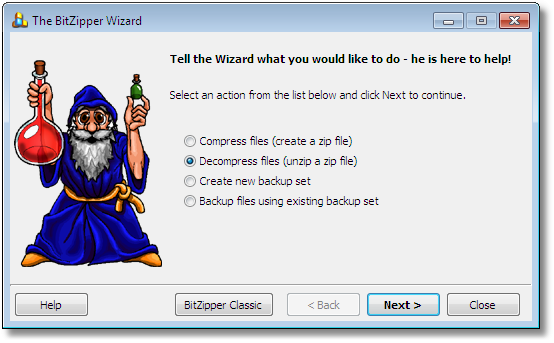 BitZipper contains Wizard interface making zipping and unzipping as easy as 1-2-3! Click here to see the Wizard in action! These screen shots show only a few of the screens in BitZipper, but all screens share the same beautiful design and ease of use. The screen shots were taken on a PC running Windows 7, and the look may differ a little if you are running a different version of Windows.